This is the AmpliFi HD Wireless Home Router, technology from Ubiquiti. It is an immaculately designed router that comes with two matching mesh points and an embedded LCD display to show you the WiFi’s current performance at a glance. 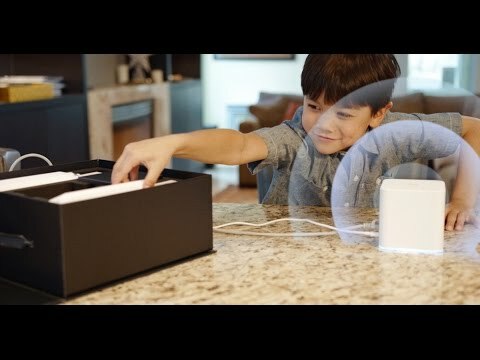 Plus, the well-designed mobile application built for the AmpliFi wireless router allows easy control and manipulation of all settings, all from your phone. Powerful Antennas Super Antenna Technology drives superior range and speed. Smart LCD Screen Sleek, sophisticated industrial design includes smart LCD touchscreen on the base. 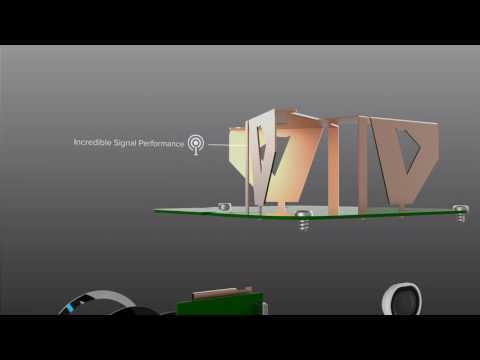 Significant Signal Latest 802.11AC Wi-Fi technology integrated. Superior Performance Integrated super antenna for superior range and speed. Strong but Subtle Seamlessly plugs into any outlet: no wires, no fuss. Setup in Seconds With easy setup and configuration, your network is up and running in no time. Automatic Updates Future features and performance updates will be coming soon. Know Who is Using The app keeps track of which devices are connected, and for how long. Track ISP and Performance Get throughput readings and test your ISP speed at any time. Guest Access, Simplified AmpliFi guest access uses an "open time window" to allow instant guest on-boarding without sharing your password. No securitycompromise or inconvenience. Quality of Service QoS options allow you to prioritize Wi-Fi clients based on gaming, streaming, or normal internet usage. Remote Management Remotely access and manage your AmpliFi Wi-Fi system using your Google or Facebook profile. Family Profiles Configure parental controls: define user profiles, assign devices, and create internet access schedules. Quiet Times Assign quiet time to family profiles to limit internet access during late-night hours. Ubiquiti AmpliFi HD Mesh WiFi System Router + 2x MeshPoints, 1750Mbps, Dual-Band, a/b/g/n/ac - UK Model is rated 4.8 out of 5 by 17. Rated 5 out of 5 by AAMole from Works like a dream upgraded from BT extenders to cover large house with stone walls. Very simple to install and works a dream. Nice design - looks quality. Technophobe middle-aged lady managed to set this up in around ten minutes as the instructions and app are very straightforward. Highly recommended. Rated 5 out of 5 by Hogie from Excellent Very efficient and works extremely well, thank you. Rated 5 out of 5 by CKMids from Best Wi-fi system I have ever used Got it working in 2 mins out of the box, super simple setup with the app. Awesome signal, from the front of the house through conservatory, reaching across the garden into the garage. Strong signal throughout and no drops in speed. Rated 5 out of 5 by Meshnerd79 from Stupidly easy to set up Great piece of kit that was up and running within 10 minutes - even when attached to the worst router in the world (Virgin Media Superhub 3). Really nice app to manage different profiles and schedule quiet time, as well as monitor performance. Rated 5 out of 5 by Markfromsunnybournemouth from Needed long distance signal I needed to be able to pipe the broadband from one house to the house next door. I tried an extender but it wasn't man enough but with this product I now have an excellent signal all around both houses. Easy to set up and I'm very pleased. Rated 5 out of 5 by DaveUK from Great Product Works well, used it to replace Virgin WiFi router which was just terrible. The kit works well and covered the 4 bedroom house easily. Installation was simple and efficient with the app. Rated 5 out of 5 by Michael234 from UK plugs, and good service I was finding it difficult to find the version of this product with UK plugs. The service from Scan was quick, much appreciated! Do the mesh points and the power adaptor have UK 3 pin plus? Yes, this is with UK plugs. I have the latest BT smarthub running BT infinity 2 &amp; want to extend my network to deadsports within the house. 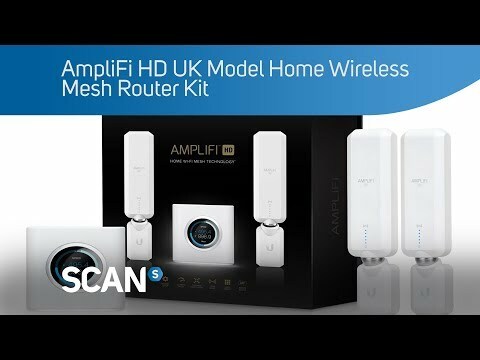 Can the Smarthub just act as a modem to allow the Amplifi to be my router &amp; mesh network??? All the provider routers should have an option to put into modem mode however, I found this to be slightly problematic as the AmpliFi system needs to grab an IP address during set up. 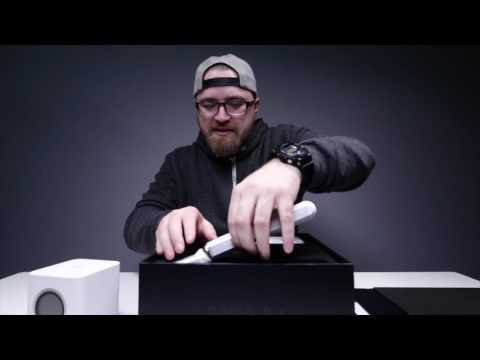 The best way of resolving this was to set up the AmpliFi then disable the 2.4 and 5 WiFi networks on the provider's router so that only the AmpliFi was broadcasting. Only get 4.5mbps download &amp; 1.00mbps upload service provider , would this device increase those speeds ? This does not affect the speed you get from your ISP.